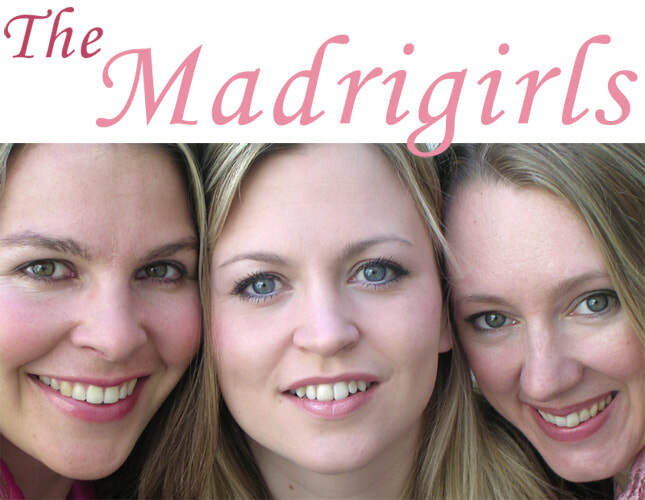 The Madrigirls are on sabbatical for the foreseeable future. ​You can still contact Heloise here and buy CDs here. Alexandra is a professionally trained classical singer and visual artist. Her interest in Early Music and Madrigals began while studying for a degree in Fine Art In Amsterdam. It was here that she began training her voice privately and formed her first acapella trio performing widely within The Netherlands. After returning to Britain in 2002 she founded The Madrigirls with Heloise and since then she has perfomed all over the UK and abroad. She has continued to paint and exhibit her work. Coming from a musical family, Heloise has been encouraged in her love of singing since she was a child. Whilst at Edinburgh university she sang in choirs and many of the town's pubs and folk clubs before returning to London to take her theatrical and musical studies more seriously. After graduating from Drama Studio London she joined a German based Arts collective which toured Europe using music, theatre and visual arts to raise environmental awareness and promote ideas about sustainability. This involved workshops in schools, street theatre and performances in Arts centres, and was a valuable learning curve in working with audiences in many different situations. A life long love of comedy lead to musical and written collaborations with a number of comedians. This involved many summers performing at The Edinburgh Festival, including a month playing the singing sidekick to Chris Green's infamous Tina C, appearances with Arthur Smith and collaborations with Karl Minns which were aired on BBC Radio 4. Inspired to focus more on singing, she reconnected with Alexandra Brown, a London-based friend and artist who had recently returned from Amsterdam. Whilst living there, Alexandra had been performing in her early music trio and suggested to Heloise that they set up something similar. Captivated by the beauty, purity and passion of 16th century madrigals, they co-founded The Madrigirls, determined to share their love of these songs with modern audiences. completed her postgraduate studies at the Royal College of Music in July 2006 having also obtained her BMus(Hons) degree as a Scholar from RCM. She now studies with Kathleen Livingstone. Kate gave her professional operatic debut as a member of Carl Rosa Opera Company, in their revival production of Die Fledermaus and has recently worked with Raymond Gubbay Opera Company in their production of Madame Butterfly at the Royal Albert Hall. 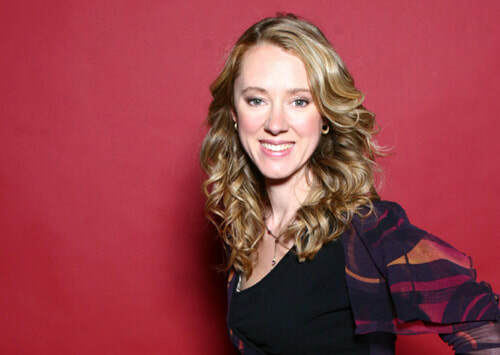 Kate made her first festival appearance singing Weber’s Mass in Eb under Brian Kay and recently appeared as a soloist for Karl Jenkins’ The Armed Man: A Mass for Peace at the Royal Festival Hall. Other solo oratorio performances have included Handel’s Messiah and Solomon, Bach’s B Minor Mass and Magnificat, Rossini’s Petite Messe Solonelle, Vaughan William’s Mass in G Minor, and Mozart’s Requiem. Her operatic roles have included scenes at RCM playing ‘Dorabella’ from Mozart’s Cosi fan tutte, ‘Cherubino’ from Mozart’s Le nozze di figaro, ‘Annio’ from Mozart’s Clemenza di Tito, ‘Diana’ from Cavalli’s La Calisto and ‘Fidalma’ from Cimarosa’s Il matrimonio segreto. She has performed in Masterclasses with Roger Vignoles, Ashley Stafford and Sarah Walker and has sung at the Sadler’s Wells Theatre for the National Youth Ballet Company. She was selected to represent RCM at the Junior Kathleen Ferrier Award in Blackburn and recorded for Howard Goodall’s television documentary ‘Great Dates’. She has given recitals at several venues in London and has made festival appearances at Sophie's Silver Lining Music Festival, Oxfordshire; and the Leith Hill Music Festival, Surrey. Forthcoming performances include second bridesmaid in Mozart’s Le nozze di figaro with the Classical Opera Company both in the UK and Italy and chorus member in Puccini’s Tosca with Raymond Gubbay Opera Company at the Roual Albert Hall. 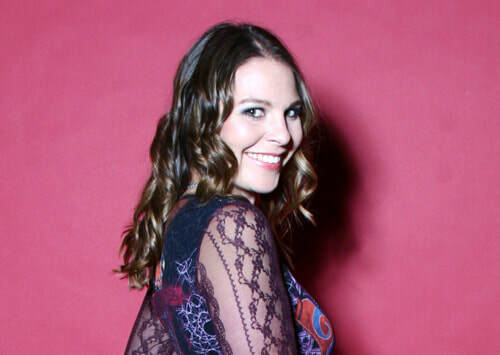 Kate is a former member of the National Youth Choir and Chamber Choir of Great Britain where she was section leader, both directed by Michael Brewer OBE and has travelled worldwide as a member of the choir and a soloist. She has also sung with the Academy of St. Martin-in-the-Field, with the RCM Chamber Choir, the RCM Chorus and the Exon Singers.